The outbreak of the First World War was, as Winston Churchill said, “a drama never surpassed.” At the distance of a century, the characters still seem larger than life: Archduke Franz Ferdinand, the brooding heir to the Habsburg throne; a bevy of fanatical Bosnian Serb assassins who plot to murder him while he visits Sarajevo; Conrad and Berchtold, the Austrians who seek to exploit the outrage; Kaiser Wilhelm II and Bethmann Hollweg, who recklessly urge on the Austrians; Sergei Sazonov, Tsarist Russian Foreign Minister, trying to live down a reputation for cowardice; Poincaré and Paléologue, two French statesmen who urge on the Russians and help Sazonov overcome his fears; and not least Churchill himself, who, alone among Cabinet officials in London, perceives the seriousness of the situation in time to take action. July 1914 tells the story of Europe’s countdown to war through the eyes of these men, between the bloody opening act on 28 June 1914 and Britain’s final plunge on 4 August, which turned a European conflict into a world war. Some of them mastered events quickly; others fought from behind or rode the whirlwind nearly blind. While there was an element of tragedy in the outcome, it is not really true that, as many popular historians have told us, “no one wanted the war.” The outbreak of war in 1914 was no accident of fate. Individual statesmen, pursuing real objectives, conjured up the conflict – in some cases by conscious intention. While some sought honorably to defuse tensions, others all but oozed with malice as they rigged the decks for war. Showing the fearless judgment for which he is known, Sean McMeekin names names in July 1914, making clear as never before who was responsible for the catastrophe. "[A] thoroughly rewarding account that spares no nation regarding the causes of World War I.... McMeekin delivers a gripping, almost day-by-day chronicle of the increasingly frantic maneuvers of European civilian leaders who mostly didn’t want war and military leaders who had less objection." "(A) superbly researched political history of the weeks between the assassination of Austria’s Archduke Franz Ferdinand and the beginning of World War I.... McMeekin’s work is a fine diplomatic history of the period, a must-read for serious students of WWI, and a fascinating story for anyone interested in modern history." 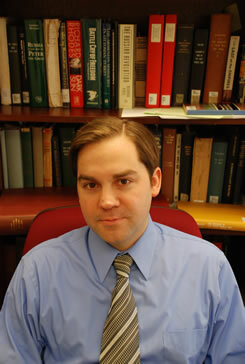 "Sean McMeekin is establishing himself as a—or even the—leading young historian of modern Europe. Here he turns his gifts to the outbreak of war in July 1914 and has written another masterpiece." "This is a meticulously researched and vividly written reconstruction of the decisions that led to war in July 1914. McMeekin captures the human drama of this fateful month and offers a provocative assessment of the different players’ moral responsibility"
"Winners write the histories, so wars are misunderstood. Sean McMeekin takes a wider stance to get a fresh angle of vision on The Great War, and casts all war-making in a new light." "Sean McMeekin has given us a riveting and fast-paced account of some of the most important diplomatic and military decisions of the 20th century. He depicts with chilling clarity the confusion, the incompetence, and the recklessness with which Europe’s leaders went to war in that fateful summer. Any understanding of the world we inhabit today must begin with an examination of the events of July 1914. McMeekin provides his readers with a balanced and detailed analysis of the events that gave birth to the modern age." "Alluding to historical controversies, McMeekin ably delivers what readers demand from a WWI-origins history: a taut rendition of the July 1914 crisis." " [A] gripping and well-researched new book. In prose of admirable clarity, [McMeekin] relates the enormously complex events of that fateful summer.... [I]n his day-by-day and even hour-by-hour account, [McMeekin] brings a sprawling cast of characters to life." " The conventional wisdom of the last 100 years holds that Germany’s desire for empire and cultural hegemony turned [Gavrilo] Princip’s deed into an excuse for war. Barbara Tuchman’s famed history, The Guns of August, makes the most of this case. Sean McMeekin...argues that ambitions in Russia and France were at least as responsible and traces the foibles of Europe’s major powers in a month that launched a disaster for them all.... McMeekin praises Tuchman’s 1962 epic for inspiring him to write July 1914. What he’s delivered is a strong challenge to The Guns of August." "The historiography of World War I is immense, more than 25,000 volumes and articles even before next year’s centenary. Still, SeanMcMeekin, in July 1914, [offers a] new perspective.... McMeekin has chosen the zoom lens. He opens with a crisp but vivid reconstruction of the double murder in the sunshine of Sarajevo,then concentrates entirely on unraveling the choreography day by day." "McMeekin is a wonderful storyteller, with a keen eye for the descriptive act, person, or scene." " Blending scholarly research with a breezy and descriptive writing style, McMeekin makes a reader feel like a firsthand witness to the key events of that fateful summer.... McMeekin’s work is also a primer for today’s diplomats on how not to allow a small event to spiral out of control into a major war. " "July 1914 is a carefully-researched diplomatic history of the month leading up to World War I. Well-written, it reconstructs the tensions and turmoil as well as the confusion and blundering of the diplomats who guided Europe into its most destructive war. It concludes with an excellent analysis of the responsibilities and failures of the major figures." "McMeekin is scrupulously fair and judicious in assigning blame.... [He] has written a fascinating and original study of the opening stages of World War I, a book that supersedes, in my view, any previous study of that great topic." "McMeekin tells these stories with clarity and skill, drawing expert portraits of all the characters involved." "Sean McMeekin's splendid July 1914 unravels all the shenanigans, bluffs and bunglings by which Europe's leaders and diplomats turned a minor murder in a Balkans backwater into total war.July 1914 is unashamedly history "from above", the view of the crisis from the wood-panelled government rooms and crystal-chandeliered ballrooms of Berlin, Vienna, St Petersburg, Paris and London. The book is almost worth the price to find out that the private residence of the Austrian foreign secretary was called The Strudel House.... There are scenes in July 1914 that linger long after the cover is closed....For mere mortals McMeekin has rendered the complicated events of that fateful month as clearly and vividly as anyone could desire. VERDICT: 4/5 "
"...a work of meticulous scholarship." "S]timulating and enjoyable.... Sean McMeekin’s [July 1914] is controversial, arguing that Russia and France were more bent than Germany on war in July 1914.... [A] well-written book." "Author Sean McMeekin uses [the murder of Archduke Franz Ferdinand] to delve into the stories behind the people who pushed the world into World War I. Tracking the genesis of the first global war, this book zeroes in on a single month that altered history." "In an intimate narrative, McMeekin...delves into the five weeks between the assassination and Britain’s declaration of war, shedding new light on the conflict.... From a failed assassination attempt to a world war, McMeekin skillfully dissects the catastrophic events of July 1914.... July 1914 is an eye-opening elucidation on the beginning days of a war that was to end all wars." "A] fascinating study of Austrian and German ham-handed diplomacy (bordering on cluelessness) combined with Russian and French duplicity, with a dose of British disengagement added for good measure." "McMeekin convincingly challenges, as others are now doing, the more usual view of Germany as the driving force behind the war.... [His] explication of the successive diplomatic steps to war makes it easy for any reader to see the missed chances for possible negotiation or a slowing of the momentum to war." "McMeekin’s] recounting of the imbroglio of July 1914 reads like a crime novel with personality sketches of the primary actors such as the belligerent Austrian Chief Of Staff von Hötzendoff and the shifty Serbian Premier Nicola Paŝić. " "McMeekin’s account is particularly worth reading for the weight it puts on the French and Russian contribution in taking the continent to war, drawing on his excellent previous book The Russian Origins of the First World War....[A] refreshingly original counterpoint to the traditional focus on Germany above all." "this work of meticulous scholarship... McMeekin’s description of the details of life in the European capitals — comparatively small events that influenced great decisions — make July 1914 irresistible. " 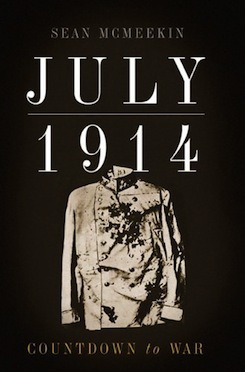 "In July 1914, Sean McMeekin [...] provides a day-by-day, sometimes hour-by-hour, account of the crisis that began with the assassination in Sarajevo. By keeping his account close to the shifting contours of the crisis, he is able to capture its human dimensions."